There are many aspects to maintaining a healthy lifestyle as a senior citizen. This can involve incorporating more physical activities into your daily routine, eating better food, or simply getting more sleep. Sleep is something that we all need and something that many of us take for granted. However, it can have huge health benefits that will not only help us to continue maintaining an independent and active lifestyle but to also maintain our health. Sleeping can help improve your memory. Your brain goes through a process called consolidation. This is where the brain takes what you have learned and experienced throughout the day and uses it to enhance memories and to even improve skills while you are sleeping. It is crucial to get the proper amount of sleep on a nightly basis. Shorter life spans have been associated with either too much or not enough sleep. So getting the right amount of sleep is crucial and to find out what that is, please talk to your doctor because everyone is different. Sleep will not only improve your lifespan but it can also improve your quality of life. Through our companion services in Fredericksburg, Virginia we can help you get the sleep you need. Sleeping can help improve your creativity. If you are an artistic person or if you are trying to write something, it would benefit you to get a good night of sleep beforehand. This is because, during the consolidation process, your brain will also reorganize and restructure your skills and memories, similar to how a computer goes through a defragmentation process. This can help spur creativity. If you are trying to lose weight or to maintain your weight, getting some sleep can help you out. Researchers from the University of Chicago have conducted tests that show individuals who are well-rested have an easier time losing fat, compared to individuals who are sleep-deprived and lose muscle mass instead. This is because the brain is controlling your metabolism during sleep. This is also important when you are going through therapy or enjoying our skilled nursing in McLean, Virginia. Sleep is definitely crucial for every individual especially as one approaches the advancing years. 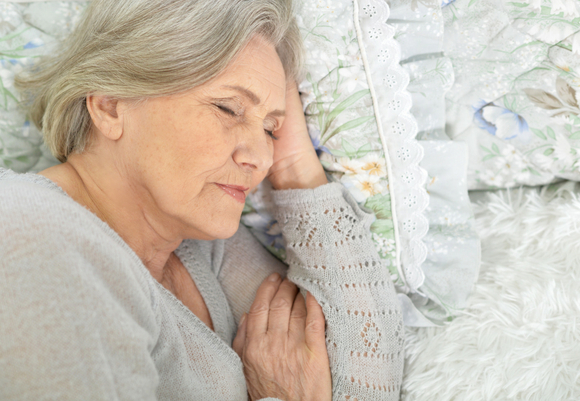 And through our home care service in Woodbridge, Virginia, we are committed to not only help you get proper sleep but also to ensure you have access to exceptional and personalized care services for a better and more independent lifestyle. If you would like to find out more about these services and how we can serve you, please feel free to get in touch with OptimumCare Home Care Services anytime. This entry was posted in Non-medical home care and tagged care companion, Healthy Living, Senior Care, Sleep Habit. Bookmark the permalink.